As I sit at my desk on the day of my birthday, I am reflecting over the whole of my forty-eight years on this world. I can’t believe how completely lucky I am to be doing what I love full-time, and how incredibly long it took me to have the courage to do it. I have often come across those little posts on Facebook and Twitter asking: ‘what would you tell your younger self’, and my answer has always been the same. Do what you love sooner. I grew up one of four children, and the only girl. From early on I remember playing imaginary games; or “what-if” games as our mother called them. We would spend hours rearranging the living room; declaring the floor was the sea or lava (way before it became a viral thing). Our games had us riding tall, ferocious seas, fighting off man-eating sharks and pirates. They also had us climbing mountains spewing lava and fighting through jungles. I look back on those times of our great imagings with enormous fondness and I hope that I have passed that passion for play and make-believe on to my children. My childhood also afforded me the freedom to roam. Long days on a bicycle going from one end of the valley to the other, and back again, swimming in the river without supervision. All those things that kids these days are told they cannot do, for fear they may hurt themselves. We fell out of trees and climbed the hill behind us, raced our home-made carts down the steepest roads we could find, and stayed out in the sun all summer long. We would leave shortly after breakfast during the summer holidays, and only wandered home for lunch when we got hungry. Then straight back out until the sun went down and the streetlights came on. It was idyllic, and we were so lucky. Life moves on and school always seemed to get in the way of the imaginary games. I will put up my hand and say, yes, sometimes I let my imagination get away with me at school and may have exaggerated things a little. I look back at those times and realise that it was my creativity trying to find a release. It wasn’t until I was eight that I realised that I could make up stories and not get into trouble for it. That was when I discovered my love of writing. It was thanks to an English test on grammar, that required me to write a story. Oh, what a story. I still remember it, even though I think the paper it was written on has long since disintegrated. A simple story about a hermit crab trying to find a new home by climbing into all sorts of things it found on the sea floor. I remember not finishing that story and the comments from my teacher after she had marked it. She wanted to know how the story ended. Writing was always something that I did in secret. I never really told anyone and if I did, would often come against laughter and ridicule. It was not something my friends understood. But I persisted. I wrote small pieces and I still have some of them. I refuse to look at them, for fear of cringing at how innocent and unformed they are. I would have dreams that were so vivid, and when I woke, I had the urge to write them down. I have a whole notebook filled with these dreams, which I use as a reference and inspiration now to give me ideas when I am having trouble writing. For years I have done this and then one year it changed. On 10 December 2006 I lost my mother to cancer, after a very long and hard battle against breast cancer. This insidious disease, spread to her bones, liver and eventually her brain. I was with her when she passed and mourned her greatly along with my brothers and father. She left a large hole in our lives. She had been there for us every day and passed on her great love of reading and stories to me. Her passing had a strange affect on me personally. For a week after her death I had very vivid dreams, and they all seemed to be connected as I wrote them down. After the last one I kept writing. It was the first time I had written a completed long story. It seemed to pour from me. It was not the kind of story I normally wrote, it was a romance/thriller, just what my mother loved to read. It was also the first time that I let someone else read something I had written, and the response I received was not what I was expecting. It was positive. The friend I finally entrusted this book to read encouraged me to work on it, and to ultimately submit it to a publisher. I did work on it, but I have never sent this one out. It just seems too personal to send somehow, and I think it is too clumsy to be accepted. After this one was finished I had more vivid dreams and did start another story, but I felt it was too hard to carry on passed the few chapters I started. Ten years would pass before I would write anything really seriously again. And that was only after my own brush with cancer. In 2014 I had my annual mammogram. I had been having them regularly for the previous four years after moving to Australia. Given my family history, my doctor thought it was a good idea to put me in the programme. Thank you so much for that. I never thought anything of it and carried on with my life for the next few days. Until I received a letter in the mail. An appointment had been made for me at Sir Charles Gardner Hospital’s Breast Clinic as an anomaly had been found. My heart sank. I knew what that meant. I was scared—that was a given—but the ladies who saw me were lovely. They spoke softly and with great care, they explained what was going to happen and what could happen, and they took great care of us ladies who were all in the same boat. My mammogram showed there was something and a biopsy was ordered for that same day. It came back positive. I was alone. My husband worked away, a FIFO worker out in the oil and gas field at that time. He rang just after I received the news that I had breast cancer, while I was still with the doctor and councillor. There was nothing he could do from so far away, accept listen to me cry. It was hard. I still had the long drive home to pick up my two children from soccer practice. I spent the rest of that year going through surgery (lumpectomy, no mastectomy), chemo and radiation. I got through my bad days watching Mrs. Brown’s Boys and laughing. I slept a great deal but looked after my family. I took myself to my appointments and got on with my life. I know not everyone who has breast cancer reacts the same way, but it was they only way I knew how to get through it. I had my mother as an amazing example. For my first-year clear diagnosis I went out and celebrated with a tattoo. A black a grey piece which is on my left ankle, the side of my cancer. It is of a dragon rising from smoke and symbolises new life. That is what I felt I had been given. It was not long after that that I finished the first in a series of seven books. I didn’t have a name for it, I didn’t even know it was going to be a series. But I was proud of it, and again it came from a dream. I had dreamt I was running away from someone, down a busy street, through traffic and ending up in an abandoned theatre. Of a tall man standing over me dressed in a long overcoat, saying “Come on, Kid; we don’t have all night.” It still amazes me that from that one simple dream a whole series was born. I sent it to my best friend to read. She loved it and wanted to know what happened next. So, you can blame her for the series really. As I wrote I gained more confidence and allowed others to read it. With their encouragement I started to submit to publishers in all my innocence of how these things work. My naivety was laughable. I had no idea of what I was doing, and I look back now and shake my head at my actions. After connecting with others online, who were either streaks ahead or just starting out like me, I learned a lot and began to self-publish with a little success. My knowledge grew and so did my writing style. I had finished the series bar one, when an online friend suggested I submit to a little publishing company, I did and was greatly surprised when they took me on. Thank you, Cherie, for having such faith in me and my work and to Tamara for polishing my raw material. I couldn’t have got to where I am today without the love and support of my family and friends. Without those moments in time where my life changed dramatically. And as I look back on my forty-eight years, I realise something. I shouldn’t tell my younger self to start doing what you love sooner. I was already doing it. I just had to wait and be patient for the life experiences to give me the material I needed to get it done. Without the loss of my mother and my own battle I would never have thought up the theory of Order vs Chaos. Of the embodiment of Chaos as cancer and my heroine, Carling, as me facing that odious creature. I have been blessed. With an amazingly supportive husband; two wonderful, beautiful and caring children; a wider family who I am so proud to be a part of. Blessed also with friends who encourage and build me up. 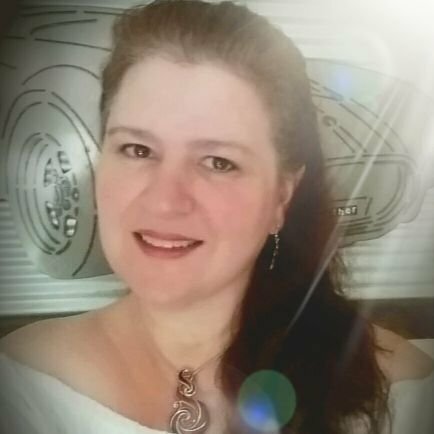 I have been blessed with a new life and enough energy to tackle it. I have been blessed with a creative imagination that seems to be endless. Just be yourself, keep experiencing life and keep writing. “And that, my children, is how the world came to be,” Tarl’a told the boys, their eyes bright as they pulled the covers tighter over themselves. The wind howled outside the small hut. “Ma, we are descended from Red, then?” the oldest of the boys asked. “But we have no sisters,” he spoke plainly. Tarl’a moved back to the fire and to the side of her husband, Mailcon. He put his arm around her as she began to sing a quiet song to send the boys to sleep. “There have been no more children for some time now, my love,” he said to her quietly once the boys were asleep. “I will go next summer if there is no child before then. Loc is only two summers old now. There is still time,” Tarl’a said adamantly. Mailcon drew her closer and they lay together beside the warm fire. He kissed her gently and they joined together as they had on so many long winter nights. But in her heart, she knew it would do no good. The feeling of no more children was overwhelming her; she had no daughter to pass the task on to, and that worried her the most. In the morning as Tarl’a made the long trek up the hill to the sacred stones, she stopped at the spring, drank her fill, and then rounded the up-thrusting rock that protected the stones. Standing at the entrance, she waited. Normally her Ancestor would not take long to answer her call, but today she waited for a long time. She was about to give up when a shimmer of light flickered at the entrance and formed into a being whose light shone brightly. Being so used to the red hue of her Ancestor, this one startled her and she took a step back at the staggering presence of Order. She sank to her knees and bowed to him, the One. Order came and lifted her up. “We do not seek your reverence; we do not seek adulation. We do not set ourselves up as gods,” It said gently. “I only sought guidance from my Ancestor; I never thought that you yourself would ever appear to me.” She still held Order’s hand, and slowly It drew her into the circle. “We came to seek your permission to put a plan into action,” Order told her as they reached the centre. “I will think about it.” Tarl’a nodded. When Tarl’a looked up, Order was gone and she was left with a singing in her heart. As far as she could remember, no one had ever been visited by the Great Light before. Mailcon stood at the door as his wife came back down the hill; he could see already that something momentous had been revealed to her. “Galen, take the boys and go collect deadfall for the fire,” he told his eldest son. “Yes, Da.” The young boy, only six summers old, gathered his brothers up; taking the youngest by the hand, he led them down the valley towards the woods that hid the entrance. Mailcon waited for Tarl’a to get nearer, and she gave him a weary smile. “There was no need to send the boys off,” she said as she entered the small house. “It was not Red I met with at the stones.” She turned to him with a worried frown. “Yes.” Tarl’a sat by the fire and stirred it to life, placing a pot on the edge. Mailcon sat beside her as he poked the fire. Tarl’a started to place grain and meat into the boiling water in the pot, beginning the meal for the evening. “Think on it, Mailcon. It is something we must agree on together,” she told him and then stood to see where the boys were. In the quiet of the house with just the crackling of the fire, he contemplated the great task that lay before him and his wife. The prospect of not having any more children came to him, but either way there would be one child, a girl. He poked the fire one more time, watching the embers flare and glow brightly. “My son,” a sweet voice said beside him. He looked up and saw the softly glowing form of Violet. She sat beside him and smiled. “My Ancestor, you do me honour by visiting me here at our hearth,” he greeted her. “Your wife will love this child without question or hesitation. She is waiting for you alone to make the decision. She comes back.” Violet stood and waited for Tarl’a to duck under the doorway. As she straightened up, her eyes grew wide. “We have not decided,” Tarl’a told her. “Thank you, Violet. Until we meet again,” Mailcon said, coming to his feet and standing with his wife. The Ancestor disappeared, and they were left alone. The noise of the boys coming back to the hut floated in through the door, and Tarl’a turned to her husband. “Then it is settled. We will go to the stones tomorrow and let them know,” Tarl’a declared. “Da, Ma!” The call came from outside, and Galen put his head in the doorway. “We have visitors.” He ducked back out and the couple exited. Before them stood a dazzling array of colour in a semi-circle around the house. They came towards the couple, and as they closed in together they merged into the one light. Order held out Its hands to them both. “It is our honour, Order,” Mailcon told him. Each child looked up in awe at the magnificent being. The blessing Order had bestowed on each boy was more than they would have gotten in the normal way. “Each of these abilities will be necessary for the protection of the child. I must go now and leave you all to your lives. Yellow and Blue will tell you more. My blessings and love are on you both, Tarl’a and Mailcon.” Order’s last words floated away as It disappeared, and in Its place were two. Yellow and Blue stood before them. “We find, Tarl’a and Mailcon, that we are in need of your guidance,” Yellow said softly, blushing. Tarl’a’s view of the Ancestors changed that afternoon. While she had always thought of them as being all-knowing and aware, she now found that when it came to relationships between women and men, it was a different story. This confused her and she tried a few times with Yellow to find out how they had mated with the people, always stopping herself, unable to put it into words. “Is it always necessary to have affection for the person you wish to mate with?” Yellow asked naively. “We shall talk again when I bring her to you and you will see what I see. She will be a great woman with a great capacity for love, and it is love she needs to deal with her tasks and trials.” Yellow stood from the meadow where she had sat with Tarl’a. The sun was beginning to go down on such a strange day; the final rays over the tops of the forest at the valley’s end were orange and golden laced with purples on the clouds above. Yellow faced the sun and breathed in deeply, the swirling colours under her skin bright points of light that glowed momentarily. “You do not feel love for Blue?” Tarl’a asked, standing now before Yellow. “Thank you for your honesty,” Yellow said and went to meet the pair. Blue held his hand out and she placed her own in his. To Tarl’a it almost appeared as if Yellow were blushing at the physical contact. Within moments, both Ancestors had vanished from sight with the last of the sun’s rays. Mailcon came to her side and placed an arm around her waist. “That had to be the most embarrassing conversation I have ever had.” He smiled as they walked back to the house. “You will have four more to make as they grow.” Tarl’a laughed, watching their boys playing around the house. “At least now I have had some practice.” He joined her laughter. Tarl’a sat up in the middle of a stormy night; a voice had called to her in her dream and she was compelled to answer it. She got up and started to gather some things around her. Mailcon woke with her movements and watched her for a moment before speaking. “What are you doing?” he whispered so as not to wake the children. “I have to go to the stones,” she told him, standing, now prepared. “It is important, Mailcon. It’s the child,” she said and ducked out the door. The wind whipped up around her, throwing sheets of water into her face and drenching her within moments, pulling and tearing at her clothes. Pushing through the tempest, she headed to the track on the hill, knowing where she was going in the inky darkness of the night. At the base of the hill a light shone into the blackness, a dark and deep colour; Indigo nodded as Tarl’a passed her and followed on up the track. At the next switch was Violet, a soft, warm light emitting from her. At each turn she was met—Green, Orange, Red, and finally Blue. At the last turning she was met with Order, glowing brightly and illuminating the way to the great circle of stones. In the centre she found Yellow; the swirling colours under her skin raced now with the effort she was feeling of birthing the child. Tarl’a did not notice the drop in the wind or the absence of the rain as she entered the circle, coming to the Ancestors side. “How far along are you?” she asked the woman. Yellow’s brothers and sisters all stood around the circle, placing themselves in between the great tall standing stones. Order had taken the place that would normally have been taken up by Yellow. All the Sentinels raised their hands and started to chant, the language unknown to her and unheard, as Tarl’a concentrated on Yellow and helping her. The birth was long, and the storm that Yellow’s emotions had whipped up raged outside the circle. Inside she screamed out to the world, her hands grasping at the grass underneath her until with one great, final effort the child was born into the hands of the woman who would raise her. Tarl’a wiped the child and bundled the little girl up into the blankets she had brought, and then handed her to Yellow to hold. Carefully, Yellow unwrapped the girl and stood. The parts of her she had changed so she could carry the baby were now gone, no longer needed. The pain she had felt was forgotten and was never to be remembered. But the love she instantly had for the little girl in her arms was immense, and she transferred as much as she could to the child. Tarl’a stood back as the Ancestors all drew in close to see the girl, to bless her. Yellow passed her into the arms of Order and It held a hand over her tiny head; with eyes closed, Order saw the potential in the child and all the children down her line. Order nodded and smiled, then handed the child to Blue. His own blessing he made on his daughter as he bent down and kissed her forehead. His own love he passed to her to join that of Yellow’s, then passed her to her mother. “Tarl’a, it is time,” Yellow said as she still gazed into the blue eyes of her daughter. Tarl’a came forward now and stood before them all. As each passed her and stepped out of the circle, they gave her their own blessing. With just Blue, Yellow, and Order standing before her now, she accepted the child into her arms. “No; she must grow with no preferential treatment, no special notice. The girl must grow strong in love of a family. We place her in your care along with Mailcon’s to raise her as your own,” Order told her. “We will do so.” Tarl’a bowed her head. When she looked up, the three had already started to move to the entrance and she turned to follow them. As she descended with the precious bundle in her arms, the Sentinels once more guided their way in the dark of the night, their lights shining the path for her. The storm had abated and the clouds gave way to the starry sky above, a meteor show streaking golden across the inky sky. But she had no eyes for the wonder of the sparkly display. They stayed with her until she reached the little house. Each once more blessed the child as she passed them on her way to the door, last of all Yellow with one final kiss for her daughter. Tarl’a entered the house and found the fire built up and glowing brightly. At the side was Mailcon, dozing with his chin on his chest. He woke with a start at her touch and she sat beside him, unwrapping the child. “What is her name?” he asked her with wonder as he took the baby from her arms. The One True Child Series. Every week, I talk to a bunch of writers and we inevitably talk about writing. We travel between topics, but one thing that comes up over and over again is if an idea is worth writing. Is it marketable? Has this been overdone? Did someone else already do this better? Will anyone even want to read this? So I’m going to tell you like I’ve told them. Don’t worry so much. You haven’t even written it yet. Stop telling yourself why it’s not going to work and just give it a shot. You want to write a story about how love and friendship turns into rainbows that save the day? Just do it. Vampire love story? Have a blast! A story about the chosen boy at a magical school defeating a dark lord? That could be a lot of fun! Get mad at the Marvel fanboys over their reaction to Disney buying them out? Add in fridges getting thrown about and that could be a whole series! But what if no one reads it? It’s been done! It won’t sell! There’s no way it will be any good! There’s no point! You’ll have fun. You’ll learn things. And even if it’s not going to work, you might be able to take parts of it and use it elsewhere. Just write it. Sit down and try to get a few words of it on the page and see if the story makes you feel excited. If just writing it isn’t really your style (Looking at you, my other plotter people out there) then plot it. Play around with the idea and see if the story works. Talk to people and talk through the story to see if they get as excited about the idea as you do. Don’t give up on the idea so quickly. If it’s not hurting anyone, you might as well give it a shot. You might have something amazing on your hands. You won’t know if you give up on it before you start working through the story and seeing what it could be. If it doesn’t work, you might still be able to use parts of it in another project. As for if it’s going to be any good, well, that’s what editing is for. 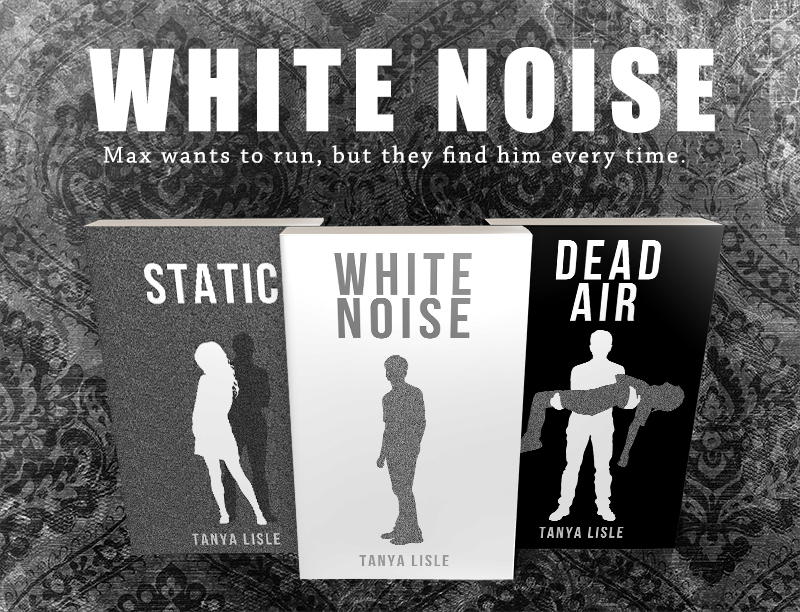 Tanya Lisle is the author of young adult urban fantasy stories with a dash of horror including The Looking Glass Saga, City Without Heroes, and White Noise. I started consistently writing poetry in 2015, after the ending of a painful divorce. I have been writing poetry regularly for the last three years, and I can confidently say I found my writing niche. I started posting poems I would write on the fly on my social media accounts, and discovered a huge supportive and growing poetry community. I also discovered poetry authors, mainstream and indie ones alike. I was enthralled by their writing and their writing journey, especially the indie authors. Self-publishing had been a trend for the last handful of years at the time, and it was growing. And, I was very interested. By the beginning of 2018, I already had enough poems to make into two full-length books. I started editing all the poems I had, and then started thinking about how to divide my poems into books and thread a theme through them. Once that was done, I pitched my first poetry book in April 2018 to a famous publisher who was home to many of the popular and trendy Instapoets. In that same month, I participated in National Poetry Month by attempting to write a poem a day. I ended up writing 23 poems, and 20 of those formed my first self-published, poetry book (a chapbook, to be exact), Life Instructions. However, I didn’t publish the book until the very end of 2018. I was holding out for a response from the publisher about my full-length poetry book. I realized by fall 2018 I wasn’t going to get a response, and was a bit disappointed. My almost daily writing decreased, and I started to lose hope, even though I had only submitted to one publisher. I perked up again when there was a submission call from another big publisher. I took that first full-length poetry book and submitted my pitch to them. Since authors wouldn’t be selected until early 2019, I decided to take a leap, and self-publish Life Instructions. Self-publishing has been a learning experience! 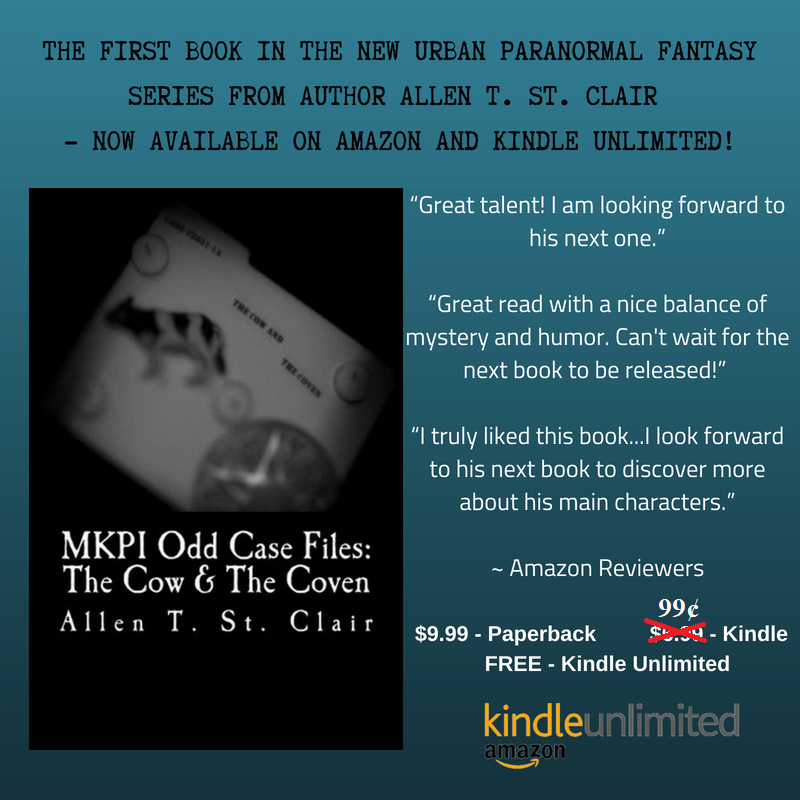 I started where most writers have, and that was with Amazon KDP. Formatting Life Instructionsfor the Kindle e-book version was very straight forward, and there were plenty of articles, videos, and tools to help me format my book. That took me less time than it did with formatting my book for the paperback version. I had a very difficult time keeping the formatting the way I wanted for the paperback, even with the templates provided by Amazon. And, in no time, my book was self-published. I can understand why editors, peer reviewers, book cover designers, and book formatters are important and why it is definitely worth paying for necessary editing and design services. However, it was so fulfilling to able to do everything myself, from the content creation to packaging content. Once Life Instructionswas released, I was ecstatic. A dream had finally come to life! I wanted all of my family and friends to know, but I didn’t promote my chapbook much because part of my writing goal wasn’t to spend time to intensely promote my release. If people bought it, that was great and I was very appreciative. If they didn’t, that was great, too. I just wanted to share my joy that I realized my writing dream. I will say self-marketing is overwhelming, and I know it’s important if you want people to discover your writing. However, I have learned that I am okay with casually promoting my writing when I feel like it. I would rather focus on writing and self-publishing. And, that makes me most happy as a writer. Submitting to publishers is still a learning experience to become more patient. But, I have learned a lot about myself as a writer and about my writing, and I am glad to have opportunities to submit to publishers, if I feel like it. Self-publishing has been a freeing and joyous experience. You truly feel like well-rounded author because you not only are in charge of the writing side, but you are also in charge of the editing/publishing side of it. There are still plenty of lessons to learn as I continue my self-publishing journey, but I am glad to finally to be traveling it. If you’re an artist of any persuasion, it’s a pretty great time to be alive. Never has it been easier to create, showcase, and (most importantly) sell work by writers, artists, actors, filmmakers, musicians, etc. Thanks to the internet I connected with my illustrator in Mexico, (I happen to be in Pennsylvania, USA) to my distributor ComixCentral.com to anyone anywhere in the world. 1. I wanted to decide which artist to work with without a publisher using the buddy system and pairing me with a bigger name (and most likely) bigger ego than mine. 2. I didn’t want any interference with the subject matter or style I wanted to write in. I can’t even fault publishers for the buddy system. It reduces the financial risk of putting two unknowns out there. It’s important to remember while this is a collaborative art it is also very much a business. This is not to say the indie universe is much better. The trade off for the glamour of pure artistic freedom is that if you don’t want to follow the rules of a publisher, readers will expect some major rule breaking. Personally, we sometimes find ourselves in the tricky position of being too hard (he-he-he) for mainstream comics and not hard enough (uh-oh I’m sorry I swear this doesn’t usually happen) for the underground comix crowd. With social media platforms such as twitter, Instagram and facebook, it’s never been easier to connect with an audience. Much of it boils down to finding the balance between creativity of self and commonality with others. And when you can’t do that, you can always just kill time watching funny cat videos. First of all, I have to admit that I am a worrier of the tenth degree. Not that I’m happy about it, but I am very good at it. And, I come from a long line of worriers. When I write, I go where the story takes me. Sometimes I have an idea. Sometimes a character surprises me as I write and I follow that lead. I think very little of what a reader might think other than as I write, I aim to present a good story that pushes and pulls the reader along on a pleasant journey. From beginning to end, it takes me about nine months – give or take – to see it from start to publication. Yes, I’m aware of the ironic parallel to giving birth, and while I can’t claim to know the pain of childbirth, for the writer the birth of a book can be as painful as it is satisfying. When I finish the story and edit the heck out of it, that’s when the worry begins. Will I find a publisher? Will someone actually buy it? Will someone enjoy it? Will someone review it positively and speak well enough about it to cause others to want to read it? Oh, yeah! I know that terror well. Writers do their best to spin a satisfying story. We take time, choose words and phrases carefully. We plant seeds along the way just like Hansel and Gretel dropped white pebbles and bread crumbs. As Keith Urban called his songs ‘his babies’, the writer gives birth to his baby, his book. So, on Thursday, January 17, my newest baby, Spiral Into Darkness is born. I’m proud of the story. I moved the characters from my previous books forward into a new adventure. Several themes move the reader along and crash together at the climax. A question is explored: Is a murderer born or is the murderer made? Good question, really. Hope I did a good job exploring the possibilities, and as the terror begins to tighten around my heart, I hope the reader pauses to think long after the last page is finished. When I decided to take the plunge and independently publish my YA epic fantasy series, The Shadow Watch, I knew I was in for a lot of work. I knew I would be in charge of the quality in every respect: cover, marketing, editing, etc. I released my first book in May 2018. Book Two comes out in March of this year. And overall, the experience has definitely been a success. But as I am preparing for the launch of Book Two, I’ve been reflecting on some things I’ve learned from the first go around. Hopefully, it will be helpful to anyone else setting out on this amazing journey of indie publishing. 1. Invest in Quality Editing and Cover Art - I decided that if I was going to publish on my own, I was going to do it as well as I could without breaking the bank. I invested a fair amount of money to hire a professional editor and cover illustrator. I even hired a fantasy map artist to bring my imaginary world to life. I cannot recommend this enough, if you can afford it. There are lots of indie books out there, but a great cover and good editing will make yours stand out immediately from the pack. It is worth the investment, in my opinion. 2. Build a Launch Team - I did not have a giant launch, but I accrued a decent readership online prior to the book’s release, so I decided to invite them to help launch the book, and these early reviews definitely helped get things going. Don’t be afraid to reach out to people. There are readers on places like Twitter, and there are even ARC services that will send your book out to readers in exchange for a review (more on this, in the section about my mistakes). 3. Network with Writers Who’ve Done It - I was fortunate enough to have already known a couple people who were publishing on their own very successfully. I reached out for advice on a few things, and they were very gracious to answer my questions. One went out of her way to offer me some ad advice later on, for which I am very grateful. Don’t know anyone? Check out the Facebook group 20BooksTo50K, full of indie authors who are helping one another out. Check out Kboards. There are tons of helpful threads about how to publish your book successfully. 1. Plan Launch Stuff Far in Advance - I had intentions of finding book bloggers, and signing up with an ARC service to coincide with my launch. Hidden Gems ARC does an amazing job, but I found out the hard way that they book out 3-6 months in advance. I was too late to do it in time for my launch. Failing to plan ahead hurt me here. I did a later campaign with them that garnered about 20 reviews, and I think this would have helped me out quite a bit if I would have had those reviews at launch. Instead, reviews were fewer and came slower. Amazon’s algorithms favor new releases. And more reviews early on will help you capitalize on the Zon’s favor. Sidenote: Organic reviews are REALLY hard to get, and unless your book is selling like hotcakes, they will trickle in very slowly. Something like 1 in every 100 or so readers. Probably on a good day. So if you are a writer who reads books (which I assume you are), consider giving those authors a hand by leaving a review. It helps so much! 2. Figure out Marketing Before you Publish - I really wish I would have learned more about how to market my book before I hit ‘Publish’. I ran a Facebook ad on the day of my launch, but otherwise, I had no idea what I was doing. Do some research first. I highly recommend the book Mastering Amazon Ads by Brian Meeks. Amazon’s algorithms favor new releases, and this goes for ads too. I definitely would have benefitted from knowing what I was doing on Launch Day. Seriously, once your book goes up and the boosted visibility wears off after a couple weeks or so, ads will be the primary way you generate sales. Organic sales (not triggered by ads) are very rare once your friends and family have quit buying your book! Learn ads, and learn them quick! 3. Be Active on Social Media - I was okay at this, and I am getting better, but there are lots of great people online. This will not only help your visibility, but it will also help you figure out what you’re doing. Lots of people are happy to share things that work for them. Network with other writers on Twitter or Facebook (seriously, join 20BooksTo50K). Boost their content. Be encouraging. Pay it forward and it will come back. These things will help you launch a book well. But whatever you do, go easy on yourself. Prioritize. You may not be able to pull off everything you want. I know I couldn’t the first time around. Learn from your mistakes. Keep at it, and get better as you go. I pride myself on first lines. I want that first line to feel like a hook sticking out of the side of your cheek that irritates you so bad that you just have to get to the end of the story. We all want that, am I right? Readers and writers both deserve that big hook. Is it the most important part of the book? Some would say yes. Think about this, you’re in a book store and you have no clue what you want to read, what’s your first move? Go to a certain section? Ask someone? Browse? Then what do you do? You search through titles, picking up random books that tickle your fancy. Ok, what’s your next move? I know when I’m searching for a new book to read, I go by the cover, the blurb, and then maybe I read the first line, or the first page. I’ve done my research and I have to say, a lot of people feel the same. While that first line needs to have an underlying message to the reader saying, “READ ME” it’s not the most important part, in my opinion. No matter what you write, the most important thing is that you put out the best possible work you can. 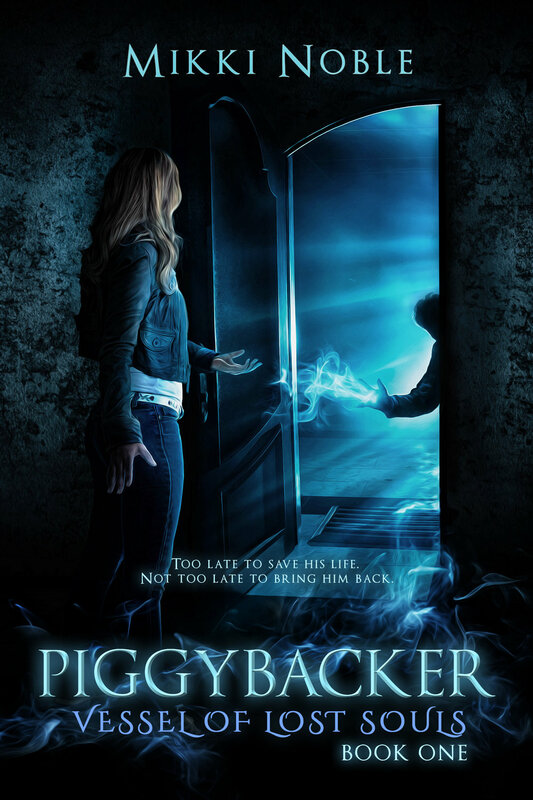 My debut novel, Piggybacker, started out as a short story for a contest I didn’t win and became a huge part of my life for nearly a decade. I changed it from a short story to a full-blown novel because I always thought there was more to the story, so in a way, I’m happy I didn’t win that contest. If I’d won, that probably would have been the end of it. Piggybacker needed to be told in its own way, in its own time. I wrote the novel in three months, night after night, my face was glued to the laptop’s screen, typing away. I barely paid attention to the words I typed—what I needed was to get the story out. I didn’t even think about the consequences. My problem was there were so many issues in the end I didn’t even know how to fix it. Would I do it that way again? Absolutely! Because now I know so much more. I’ve learned more writing skills, mastered different aspects that have held me back in the past. This time I’d probably attempt an outline, even a rough one, before writing, so I had some path to follow and a wee bit less editing. This is the hard part in being a novice, is figuring out who’s right and what’s best for your story. They may all have valid opinions. So, what do you do when one person says, “Change the first line” and another says, “I love that first line”? The only answer: whatever you want. The best thing anyone’s ever said to me was that the “Goddess of my own story,” and that stuck with me. What that means is, you have to be happy with the final product. You’re the creator. You have the last word. Isn’t that magnificent? There’s an idea sitting in the back of your mind, buried deep within the depths of your subconscious mind. You just have to get out of your own head long enough for it to wiggle loose and get through. It’s like when you adopt a new cat. Even if the pet adored you at the adoption place, when you bring the pet home they will run and hide. It’s new, everything looks and smells different. It’s a huge change for them. If you leave them alone, they will come out on their own. If you don’t, they’ll burrow into the corner as far back as they can and never come out. I spent over four years revising the beginning of Piggybacker, I couldn’t even tell you where it had begun. At least a dozen times I skimmed those lines and doubted myself. The first two chapters felt like they were both decent beginnings, but not the best they could be. I tried everything: switching them around, braiding them together, changing from past to present tense. They were all wrong. I nearly gave up on the entire thing. Several times. But when I get an idea in my head I’m as stubborn as a brick wall. Once I got out of my own way, my story found me. Literally! I was making dinner one night, not even thinking about my novel. And I’d been pondering the beginning for a few years at this point. As I was stirring my soup an idea practically jumped out at me. I couldn’t believe it. The idea was so perfect, I just had to get to work on it right away. Everything fell into place after that. Everything. I mean, it meant yet another revision, but it was exactly what my book needed and I’m so proud of it. In hindsight, not giving up is one of the best things I’ve ever done. Piggybacker comes out January 28, 2019. If you get to read it, I hope you enjoy and happy writing, my lovelies. A special thank you to Jacob, for hosting guests on his lovely site. You’re awesome! THIS WEEK AT THE WRITER’S ALLEY, WE HAVE GUEST BLOG WEEK! 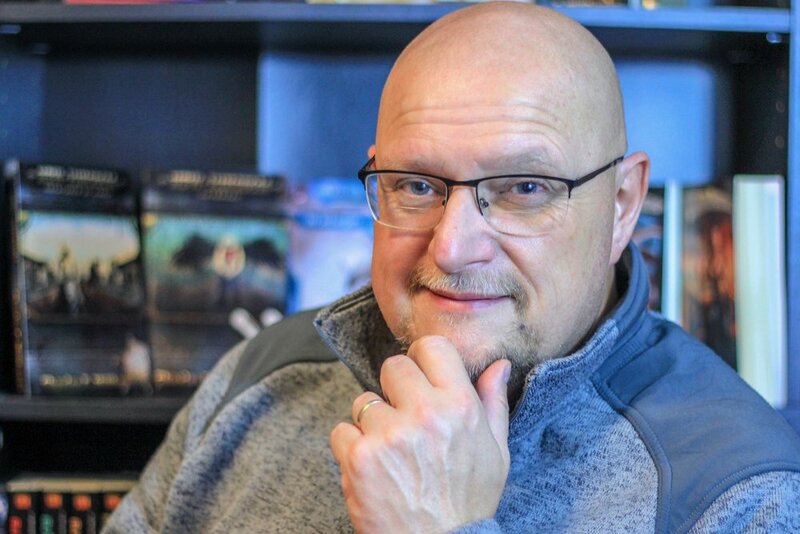 The First Guest Blogger this week is Charles F. Millhouse of The Stormgate Press. Story telling is in my blood, I imagine that most writers feel the same way. I first indie published in 1999 when it was considered little more than vanity publishing. Let’s face it, I didn’t know a lot about writing, and again I think a lot of new writers have the same experience, or inexperience in that regard. But I was committed, or should have been committed to being an author. I guess where I’m going with this is, no matter how hard it becomes, how stressed you get, don’t give up. A writer’s life is full of stress and misgivings and even though your loved ones say they understand what you’re going through, they really don’t. That’s why we seek out likeminded people, writers who understand our plight and can give us much needed encouragement. I hope in some way, writers who read this get something from it, and avid readers understand the mindset of an author. Don’t be discouraged my friends. When I first published, there was no Facebook, or twitter. Social media was nonexistent and so was many other outlets to promote your work. This is of course not to diminish the struggles writers have today, I just want you to know that with persistence everything is possible. Write what you love, not because you think it will sale, or what is called “write to market”. If you’re writing to make money and don’t know the subject matter in which you’re writing, you’re setting yourself up for a letdown. For me, my chosen genre is science fiction. I’ve written eighteen books focusing on it in some aspect. From hard hitting sci fi with “Origin Expedition” to more action adventure storytelling in my “Captain Hawklin Adventure Series”. Some of the books I’ve written have been hits, some misses (I don’t want to even talk about my first novel, which is no longer in print… thank goodness). Success is ones own perspective. Set you goals, how far do you want to go, how far before you are happy with what you’ve written? For me, I’m content in my career, yet I’m still focused on honing my skills and producing the best possible story I can. There is so may stories to write and so little time. Pick the ones begging to be told, and tell them. This post was supposed to be about me, and here I’ve turned it toward you, my fellow writer. I wish you to succeed… find “your voice” and be the best that you can be. I push myself with every project to try something different, to be bold and to set my writing bar high. This is something we should all strive toward. To give our readers an experience they won’t forget. Readers: If there is one thing you can, besides buying and reading a book, it’s give a review. Writers, especially indie writers thrive on positive reviews that can help in their story telling. So leave a review on Facebook, Twitter, Goodreads, the authors website, and where you bought the book. It’s a simple thing and it means a lot to us. As I leave you I want you to remember: Write a lot, read a lot, but don’t forget to live. A writer’s best work comes from experiences. 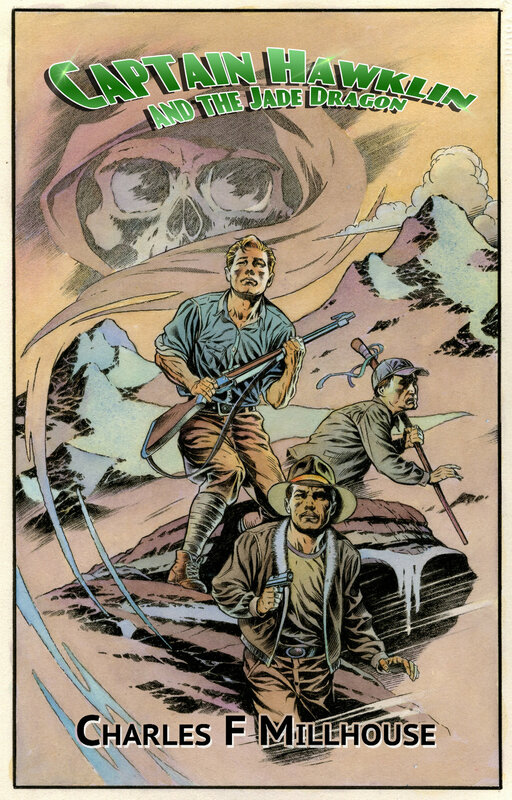 Charles F Millhouse is the author of eighteen science fiction, adventure novels including The New Kingdom Trilogy, Origin Expedition and Captain Hawklin. He/She is a published author. He/She is an independently published author. Being a writer, an author, traditionally published, independently published, blogger, vlogger, whatever it is you are, makes you a Creative. I adore Creatives. Do you know what I call myself? A storyteller. I like to tell stories when I write. I like the way that humans connect viscerally with the written word. I don’t put as much importance in things like if traditional rules of grammar, punctuation, spelling, and syntax are followed. If something is good—if it tells a good story, I can get over almost anything else. If I put a book down after reading it and look off into the distance to something only I can see—if I felt transported—that was a good piece of writing. It doesn’t matter who wrote it or how it got into my hands. It meant something profound to me. The person who wrote whatever it is that I read did something that mattered—they entertained, connected, informed, educated, moved me, made me examine my own beliefs and ideas…they did something that transcends all the other arbitrary rules and labels that others in the industry try to push down our throats. Jonathan Larson, the writer of the rock musical Rent put the lyric: “The opposite of war isn’t peace—it’s creation” into his song La Vie Boheme A&B. Creation is a fundamental rule of creating peace. Of connecting one human being to another. To sharing the human experience. To proving that we’re not all that different. That we’re all in this together. Creatives, at their core, crave connection, sharing, finding similarities to others…to bringing about peace. We creatives—writers and authors and storytellers—are on the same side. We all have a story to tell and we should all tell them in our own way, as genuinely as possible, otherwise, the stories are all the same. We won’t find all of the different connections and similarities and ways of creating peace. Writers and authors and creatives and storytellers do not have to be at war with each other. We do not have to be egomaniacs. It’s trite, but true: a candle loses nothing by lighting another candle. Get out there and tell your story. Share it with anyone who wants to connect with it. And when someone else shares their story, help them spread it to the wind. Create peace, my fellow Creatives.